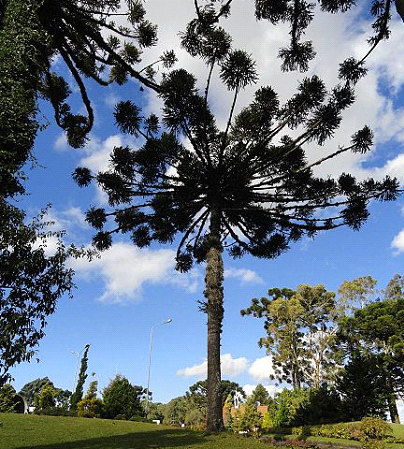 Auracaria a genus of coniferous trees best known from Australia and New Caledonia, but there is also the auracaria species in Brazil and Argentina. 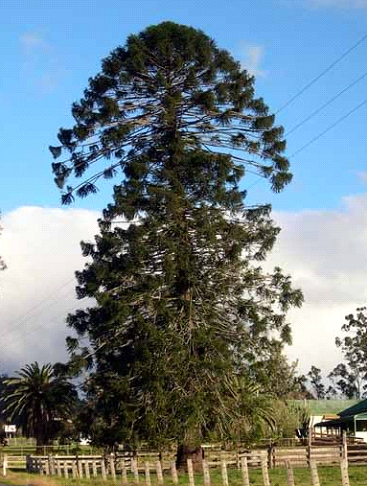 In the picture below you can see Auracaria bidiwillie also called Bunya tree, which is found naturally in southern Queensland near the coast. This Auracaria has the largest cones but all Auracaria species have large cones. 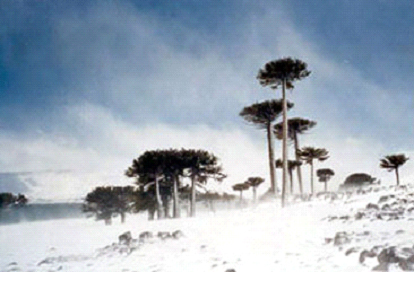 An Auracaria from Argentina is a very durable tree that you understand from this picture.